Growing up in the Occupied Palestinian Territory is not easy. When you leave home for school, your mother can't be sure of when you'll be back. Maybe that night, maybe a year later. A stroll with your friends may end up in a police interrogation station. On any night, a group of soldiers may wake you up in the middle of the night and take you, your brother, your father... to prison, after blinding and handcuffing you in front of your family. You do not need to do anything special, just be there, be a kid. Rami, Ahmed, Mohammed... Three among thousands. 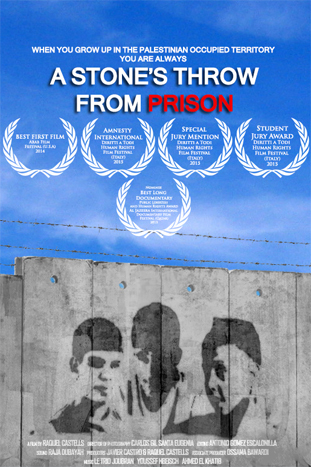 The film is their story, but also that of courageous Israelis and Palestinians working to cut abuses, stop conflict and heal its consequences.